By using the simple wooden tools on pallet wood you can craft great wooden stuff to handle the routine tasks. Dining table makes a great time for family gathering and is really a much exciting moment of every home. 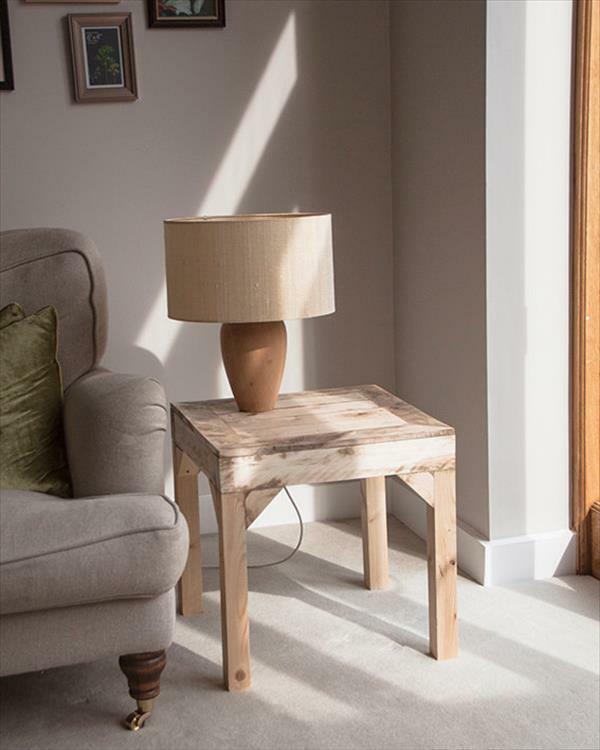 If you are missing it due to being short in budget then get yourself out from this embarrassing situation as you can get all furniture stuff with pallet wood. 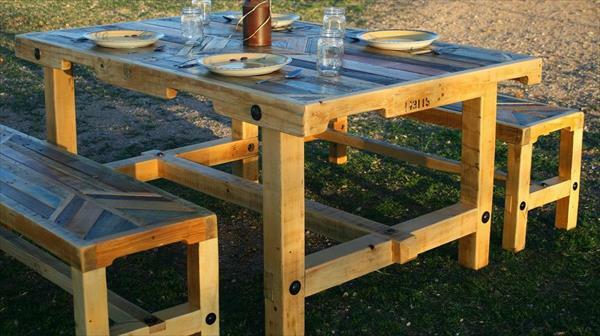 We have constructed this complete DIY pallet dining furniture set using some rescued and retired shipping skids. 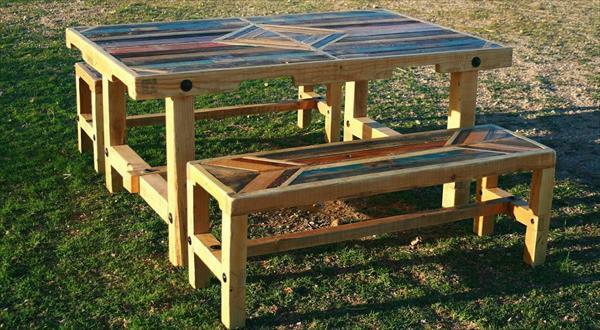 Table and both DIY pallet benches have been given a much artistic and designful top and berths using some colorful pallet lengths. 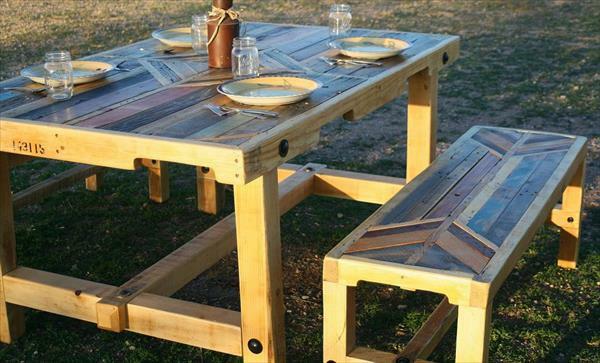 These DIY pallet furniture components make beautiful art pieces which can give prominence to any living space. Entire furniture set has been sanded, varnished and stained to save the integrity of wood for many future years and then after the wooden surface has also been sealed to be water and weather proof.